Finished in Joplin textured grey, our tall two door bookcase offers an abundance of storage and display area, with three shelves dividing the interior into four roomy sections. 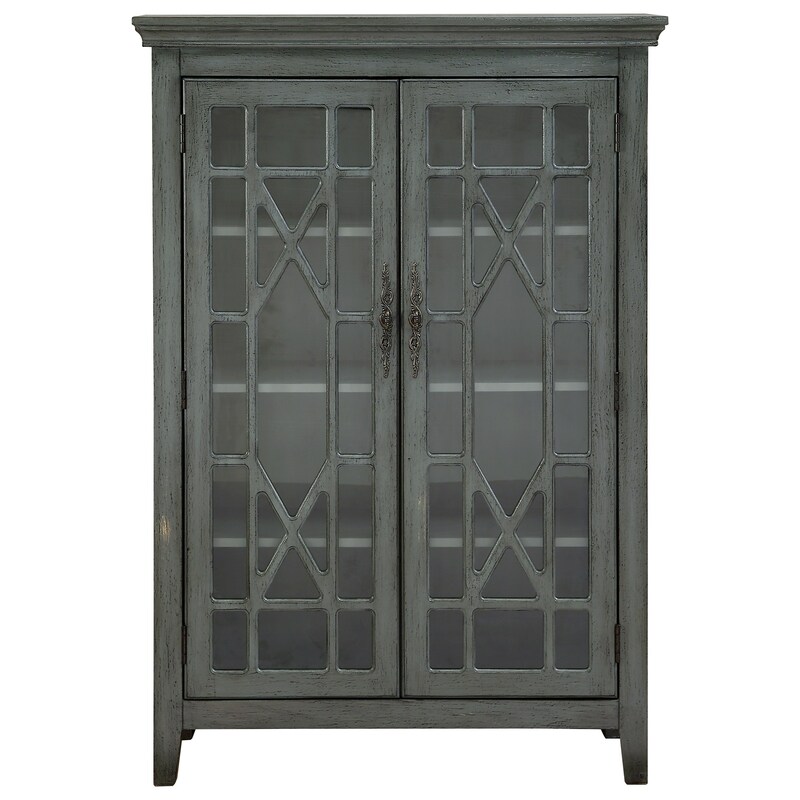 Glass fronted doors are topped with a classic trellis overlay and accented with vintage inspired antiqued hardware. Add your collection of pottery, paperweights, and those inspiring art books to create a wonderful display. And don't forget a few choice pieces for the top!